Spotify branded mobiles coming soon? 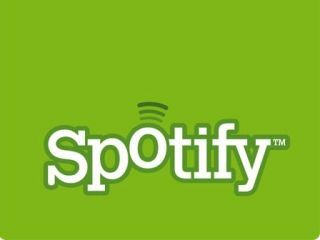 Spotify has signed a deal with Swedish telecoms firm Telia to bring its product onto a variety of platforms. The two-year exclusive deal is designed to bring a cross-platform service, where subscribers will eventually get free Spotify access across their mobile phone, PC and TV. Spotify has also told CNET that it's looking at putting the service on digital set-top boxes in the near future. The deal will also see Telia and Spotify bringing a 'mobile offering' in the coming months, although it's unclear what that could be. The offering might be a simple application ported to mobiles in the same way the Android and iPhone apps work, or it could be a full Spotify-branded phone. Given the rumours of INQ planning a similar device, the latter idea doesn't seem completely out of the question, leading to a similar business model to Nokia's Comes with Music. Either way, it will be interesting to see how Spotify extends its service and if it can actually buck the trend of recent start-ups and actually make money.